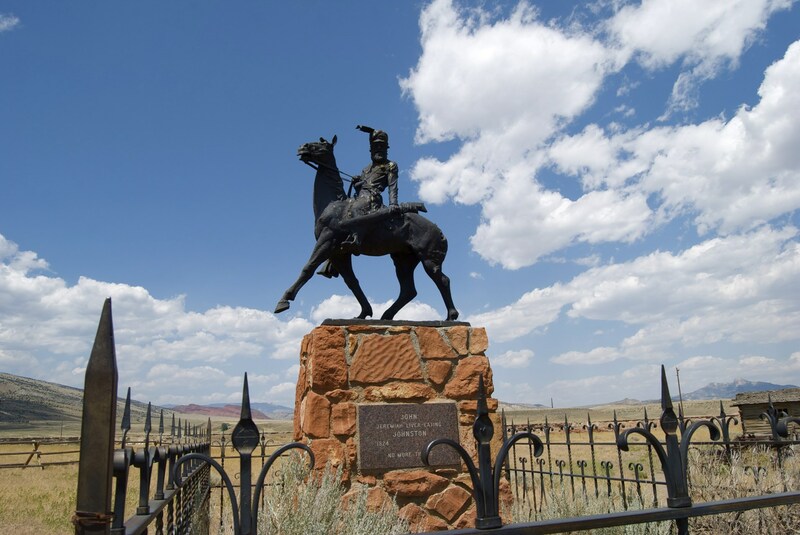 Cody gets its name from the legendary cowboy, William Frederick Cody, better known as Buffalo Bill, who was instrumental in creating the town. 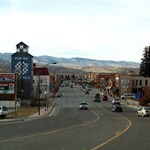 Located at the western edge of the Bighorn Basin, the town is surrounded by the Big Horn, Owl Creek, Bridger and Absaroka mountain ranges. 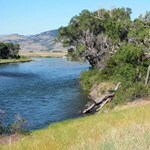 At the western edge of the town, a deep canyon is formed by the Shoshone River; a bridge over the water offers the only way into Yellowstone’s Eastern Gate. 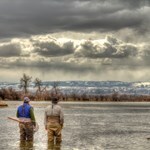 Anglers who venture into the national park have many options available to them, including Yellowstone Lake, Trout Lake, the Yellowstone River, Slough Creek, the Lamar River, Soda Butte Creek and Pebble Creek. 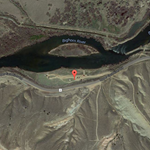 The Shoshone River can be fished in Cody and provides opportunities to catch big rainbows and cutthroats. 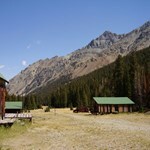 Not far from the Shoshone, you can fish Clarks Fork for cutthroats and big browns while enjoying the canyon scenery. 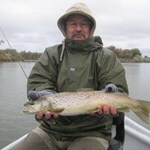 Big Browns are also seasonally abundant in East Newton Lake and the Buffalo Bill reservoir. 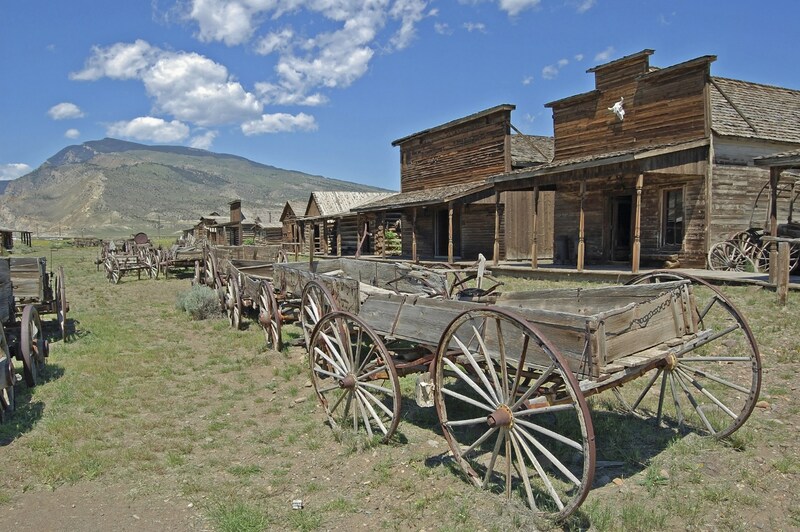 Western enthusiasts will find plenty to do in Cody including a visit the Buffalo Bill Center, a five-museum complex, Old Trail Town, a replica of early Cody, The Cody Murals depicting the history of the Mormons and the Buffalo Bill Dam Visitor Center. 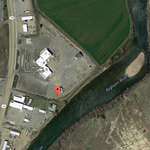 The Bighorn River begins life as the Wind, flowing ESE out of the mountains of Western Wyoming, through the town of Dubois and the Wind River Indian Reservation. At Riverton the river ... moreabruptly turns North and begins to back up as Boysen Reservoir behind a 220 ft. dam built at the head of the beautiful Wind River Canyon. Emerging from the dam a river once more, the Wind flows through the Owl Creek Mountains, leaving the Wind River Basin. 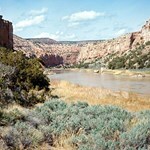 As the river exits the canyon and spills into the Bighorn Basin, its name is changed to the Big Horn. One river, two names. 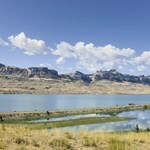 It is here at Wedding of the Waters where we begin our adventures and float through the town of Thermopolis, home to the world's largest mineral hot springs. 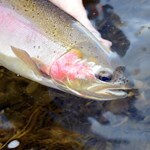 Beginning in March, thick hatches of Midge & Blue Winged Olives bring trout to the surface after a long Winter of eating tiny nymphs. By late June, Tricos appear on the scene and hatch en masse every morning until October. 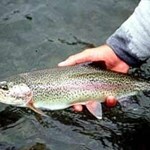 It is common to see pods of rising trout 30 or 40 fish deep, making a flat piece of water look like a riffle. Several species of Caddis are available throughout the summer as well as terrestrials. The Blue Wings will make one more appearance in the Fall after the water has cooled. Fishing nymphs can be productive year-round but is best in late Winter or early Spring before moss becomes an issue. 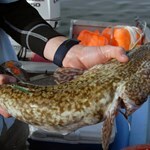 Average sized fish is 16-18 inches with many 20 inches and beyond. 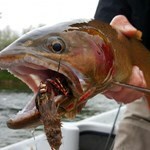 Streamer fishing can be hard work on this river, but the rewards often make it worth the effort. 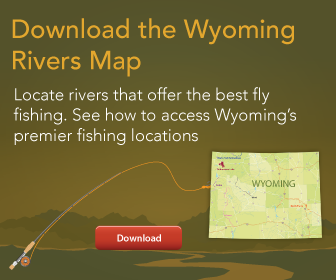 Most fishing is done from the boat, as Wyoming Water Access laws limit anchoring and wading opportunities to certain sections of the river. 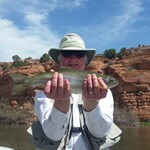 We can accommodate anglers of all abilities. All trips include flies (we tie 90% of the flies we use on guided trips), shuttle, terminal tackle, the use of a rod & reel if needed, and lunch on full day trips; half days include water and snacks. 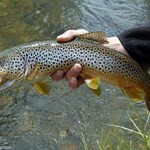 We practice catch & release of all Wild Trout. We are First Aid/CPR Certified, Insured & Permitted Guides. 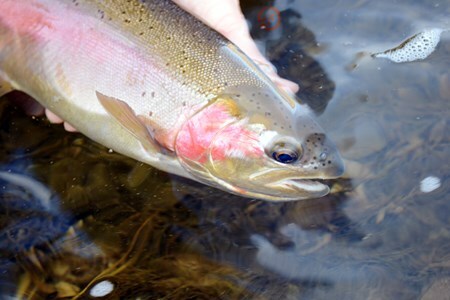 Fly fishers who seek to get far from the maddening crowd should consider the Clark’s Fork, as it offers ample fish, scenic beauty and alluring solitude. The river makes its grand entrance ... moreinto Wyoming from Montana through a rift in the jagged, glaciated Absaroka Mountains. 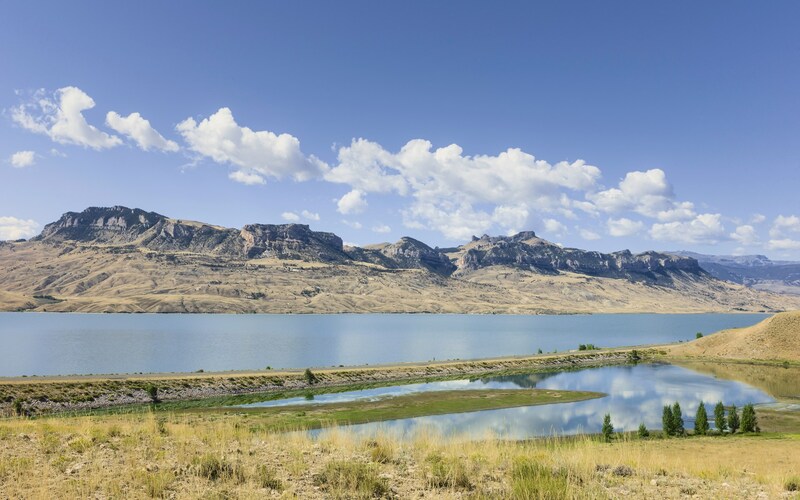 Surrounded by soaring, snow-capped peaks, the river is bounded by the Beartooth Mountains to the northeast and the rugged Sawtooth Mountains to the southeast. 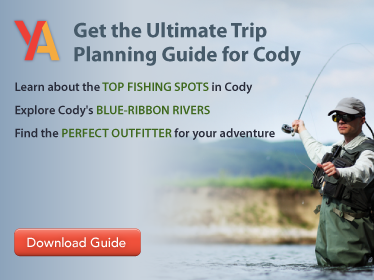 Running for over 60 miles through the state, its upper waters are full of Yellowstone cutthroat, rainbow and brook trout while grayling and brown trout can be found below the famous Canyon section as the river makes its way back to Montana. Designated as Wyoming’s first Wild and Scenic River, it flows through verdant, conifer forests, a stunning, 20 mile-long Canyon area, and open farm and ranch lands. 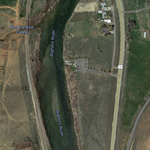 The river descends from 8,500 feet at its headwaters near Cooke City to less than 3,000 at its northeastern crossing at the state line. The spectacular canyon portion of the river is as popular with hikers, kayakers and river rafters as it is with fishermen. Adventurers around the globe come here to experience its Class IV to Class VI rapids. Technically the river is open year-round for fishing although the Colter and Beartooth passes are usually blocked by snow until late May. 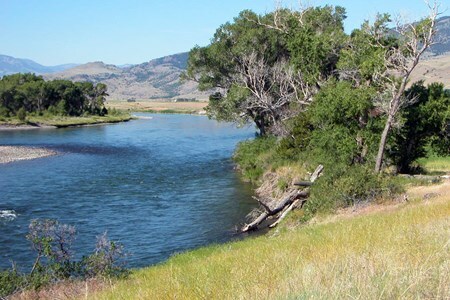 Public access can be gained from the highways that parallel most of the upper river through the Shoshone National Forest and anglers can, with a few exceptions, stop and fish at their leisure. 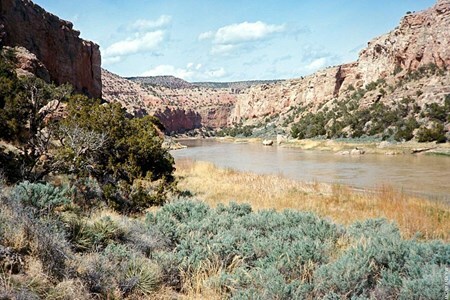 Much of the lower river runs through private land although the Wyoming Game and Fish manage 4 public access points making it possible to enjoy fishing in these waters. 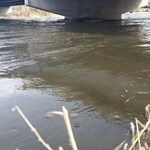 Spring runoff can continue through June, sometimes even into mid-July, and then tends to remain steady from late summer and well into September.